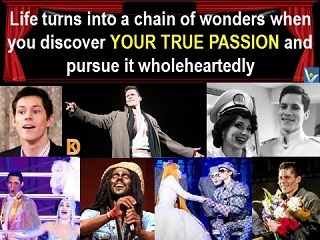 Life turns into an endless chain of wonders when you discover your true passion and pursue it wholeheartedly. Dream big dreams, commit to your true passion, and you will learn to fly! Every verse is a child of love. into the doing that matters. You’ve got to really love what you do. Don’t expect to be famous – do it because you really love and have fun doing it. any woman I have ever known. Success in its highest form calls for enjoyment and happiness which come only to the man who has found the work that he likes best. 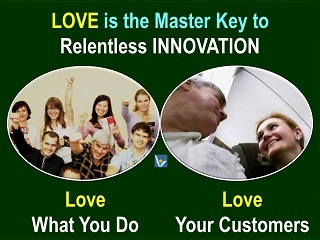 Work is love made visible. And if you cannot work with love but only with distaste it better that you should leave your work and sit the gates of the temple and take alms of those who work with joy. "I know you've heard it a thousand times before. But it's true ‒ hard work pays off. If you want to be good, you have to practice, practice, practice. If you don't love something, then don't do it." "Once you realize that you have identified a passion, invest in yourself. Figure out what you need to know, what kind of experience and expertise you need to develop to do the things that you feel in your heart you will enjoy and that will sustain you both mentally and economically."